Our ledged and braced oak doors are available with a but and bead or a V groove profile. They are available in 4 standard sizes and can be trimmed to make small adjustments. We can offer custom sizes lead time is generally 7/10 days. 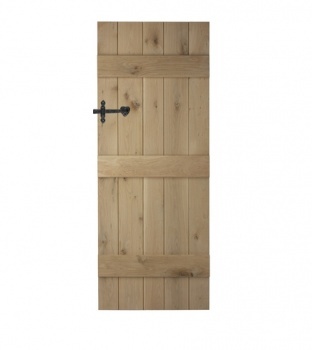 The oak doors are supplied in a character grade oak. Within the Rustic oak some planks will contain a few small knots. The construction of these doors will leave nail holes, the customer can fill them if preferred. 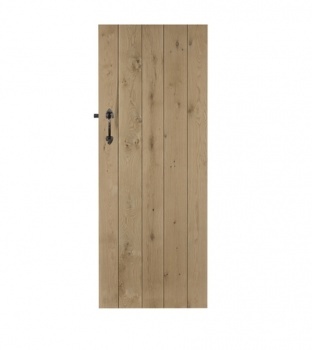 These doors are generally available from stock. 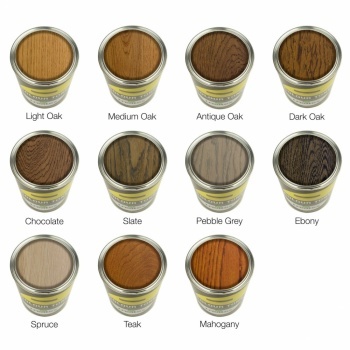 ​We can now pre-finish the doors in a fantastic range of colours to save you the time and effort at home. Love these doors, great quality wood and they have come up really well after being oiled. Would recommend. Thanks Elizabeth for the review and we're glad you love your ledged and braced doors. The new door suppled was of very good quality, well constructed and at a reasonable cost. I would not hesitate to buy from this company again.